Just because your buddy built his own back deck doesn’t mean you should forgo hiring professionals. The risk of something going wrong is simply too great. And if something does go wrong, you’ll be on the hook for it if you haven’t hired pros, who protect you through insurance, guarantees and other measures. You might be thinking you’ll save some money by at least doing your own shopping for supplies, even if you hire professional contractors to do the installation. But that’s generally not the case. Home renovation and design professionals have access to industry discounts, and they can pass those discounts along to you. Plus, of course, they’re less likely to make expensive mistakes in the buying process. It’s better for everyone if you find a temporary place to live during the remodeling process. 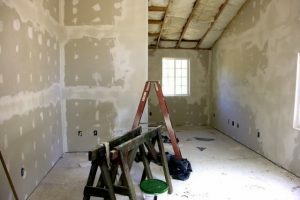 The work will be able to be completed more quickly, and you’ll find that it places much less stress on your family life — you’d be surprised how hard remodeling can be on a marriage. Do yourself (and everyone else) a favor and have a contingency fund. Especially if you’re remodeling an older home, there will be surprises, most of which will be completely out of your contractor’s control. You might think that permits aren’t necessary when you’re doing something like finishing a basement or attic. After all, you’re just making more of the space you already have, right? Wrong. You shouldn’t let it deter you from remodeling these types of spaces — attic bedroom remodels can get as much as a 79.4% return on investment — but you should know that if you want to be able to sell your house, later on, you’ll need to have had all work done with the proper permits. How else do homeowners sabotage renovations?